Updated Tuesday August 28, 2018 by Lovejoy Leopards Lacrosse. 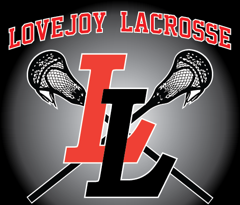 The Coaching Staff of the Lovejoy Leopards Lacrosse program has more than 150 combined years of lacrosse experience as players and coaches. Several of our coaches come from lacrosse hotbeds, such as New Yor, Maryland, and Virginia. Many have played in college, professionally, or on semi-pro and club lacrosse teams and have coached and started lacrosse programs across the country. Our coaching staff share the same goal as the Lovejoy Leopards Lacrosse program and want to help our players develop into well-rounded and educated lacrosse players. All of our coaches are dedicated to teaching the game of lacrosse to our players and are devoted to instilling the values of sportsmanship, teamwork, fair play, a love of the sport of lacrosse, and respect for everyone involved – including teammates, coaches, opponents, and officials.